Located in an exclusive Sonoma area known as “The Ranch,” this villa is a stylish combination of old-world charm and outdoor living plus has today’s modern construction, conveniences, and amenities. 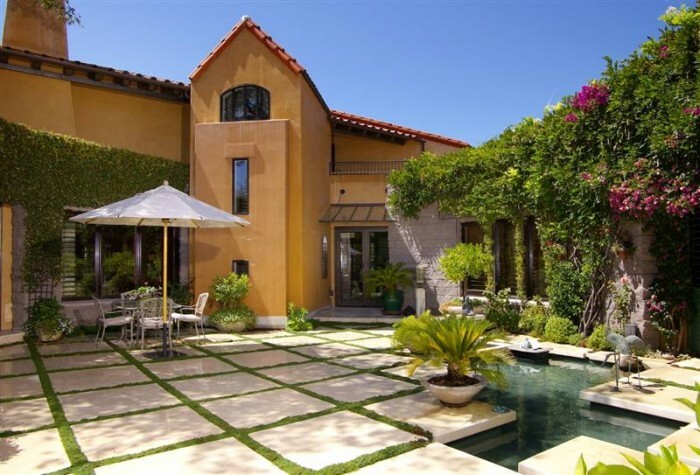 Designed by award-winning architect Robert Zinkhan and built by renowned Cello-Maudru Construction Co., Villa Belvedere features rounded walls and arches, a piazza, and loggia. Of-the-moment amenities include computer-controlled lighting, audio, heating, alarm, updated kitchens, and incredible state-of-the art infrastructure. This gorgeous Sonoma county home for sale is waiting for you. See additional details and photos of 1375 Legs Lane.